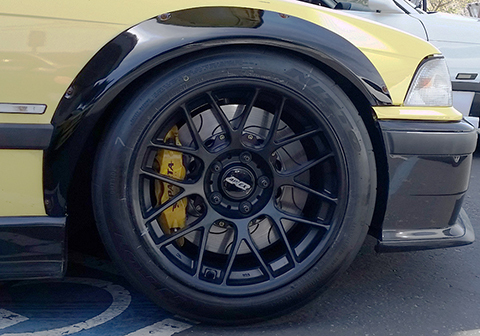 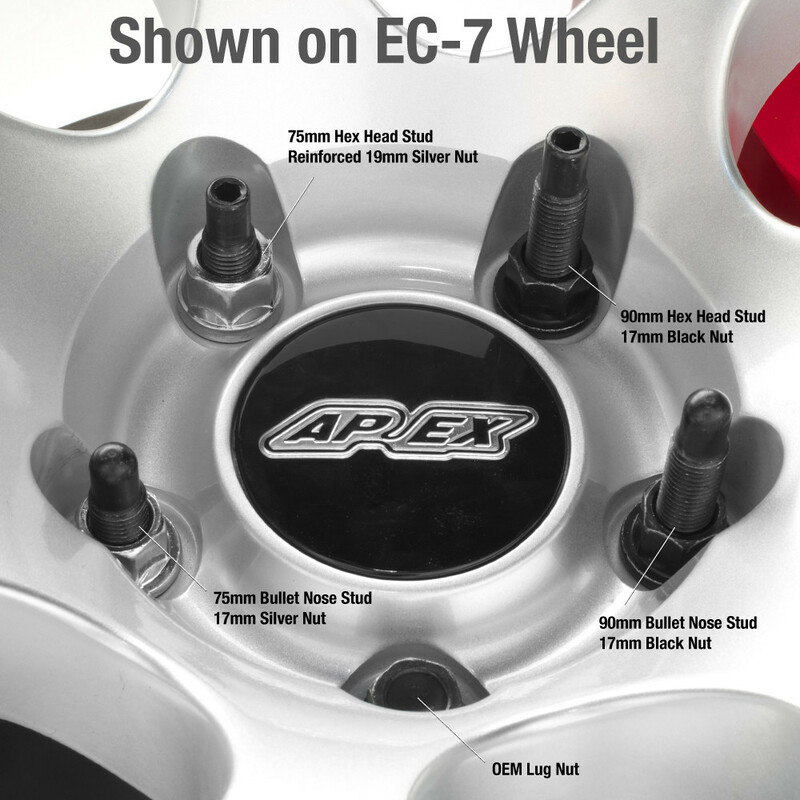 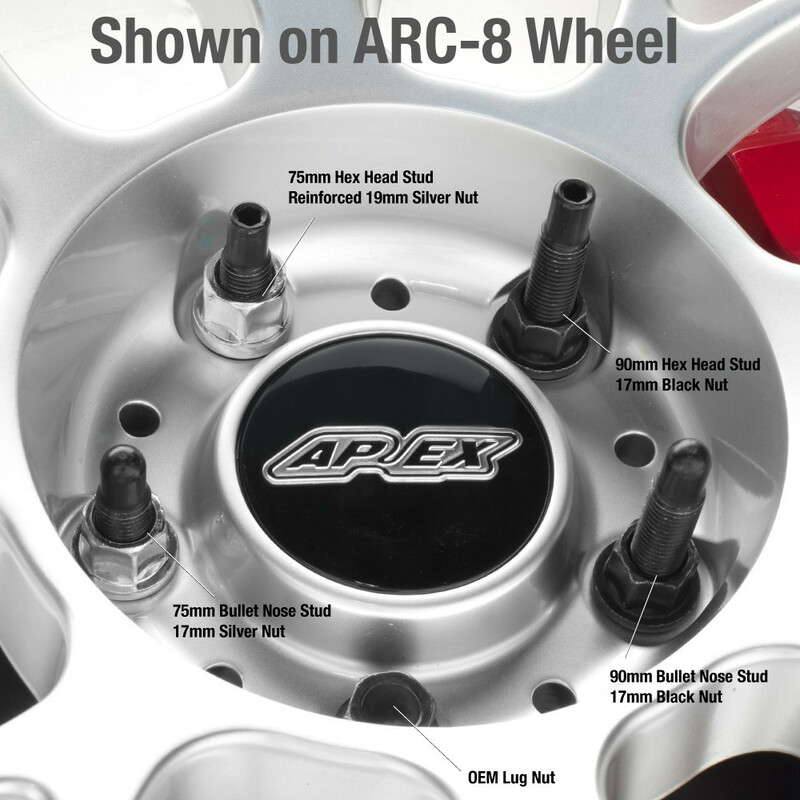 Our new and improved APEX BMW wheel stud kits are the perfect upgrade for any set of performance wheels. 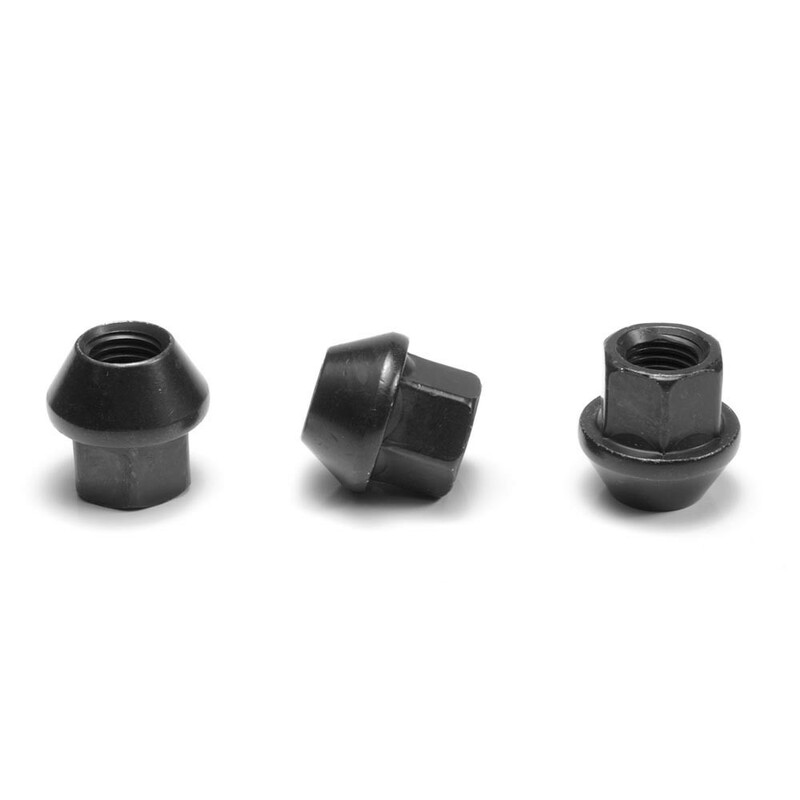 We engineered these wheel studs with an improved shoulder design to eliminate stress risers that lead to stud failure in most other designs. 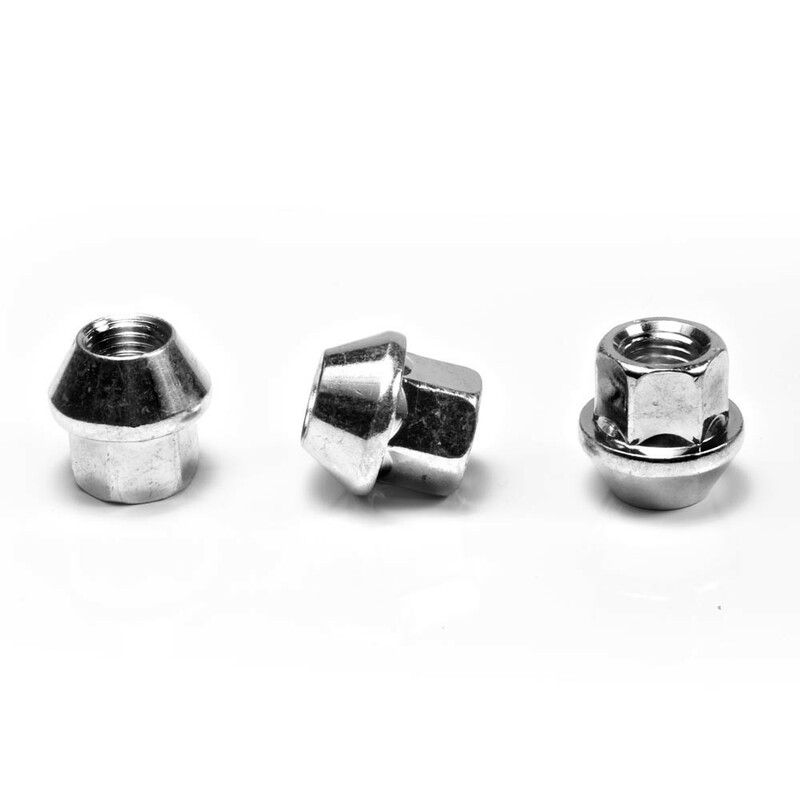 These wheel studs feature a 5mm hex head for easier install, but our new design is now also available in a true bullet nose version. 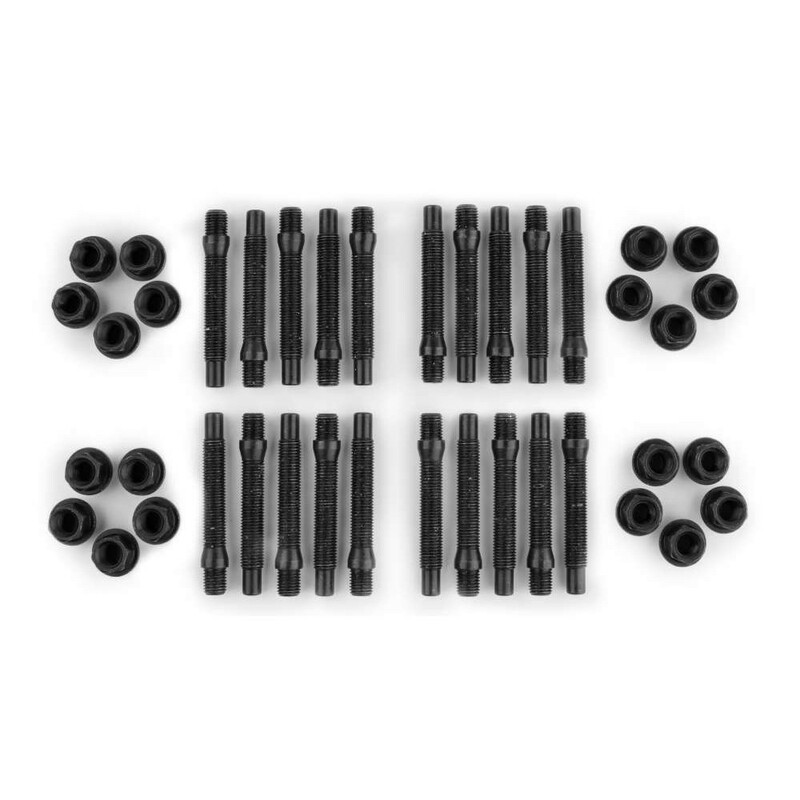 Use this kit to convert your 5 lug BMW from inconvenient lug bolts to stronger and safer wheel studs. 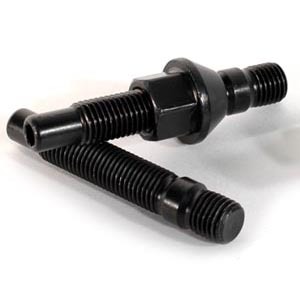 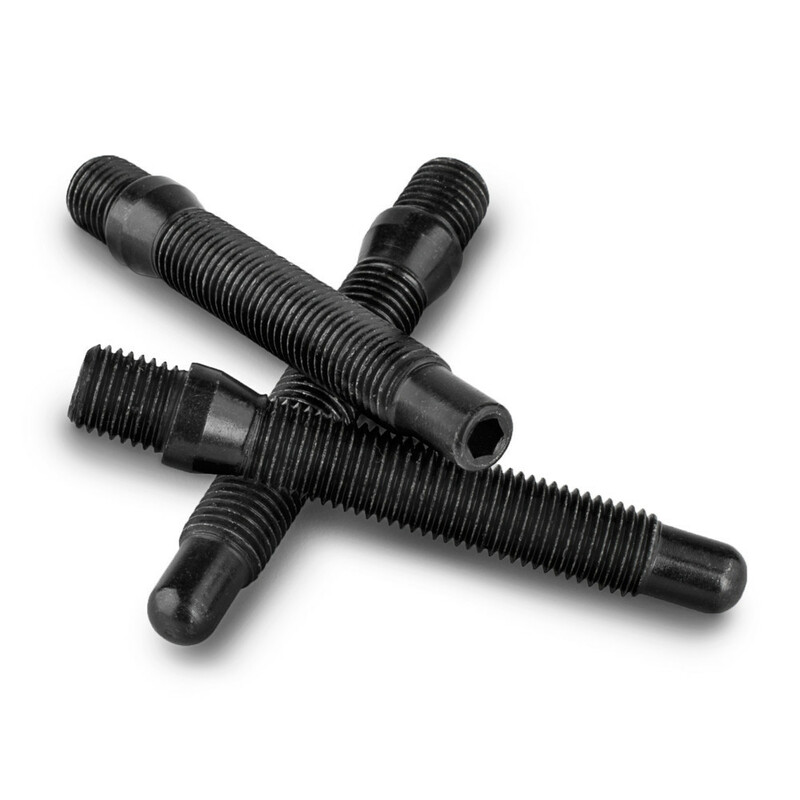 These can be used with or without spacers, and are easy to install. 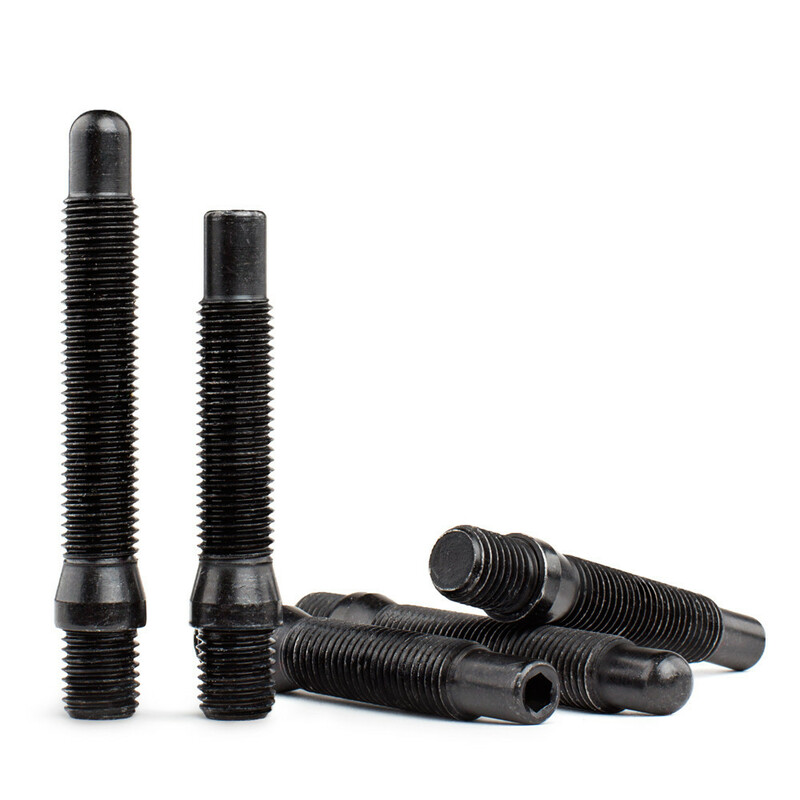 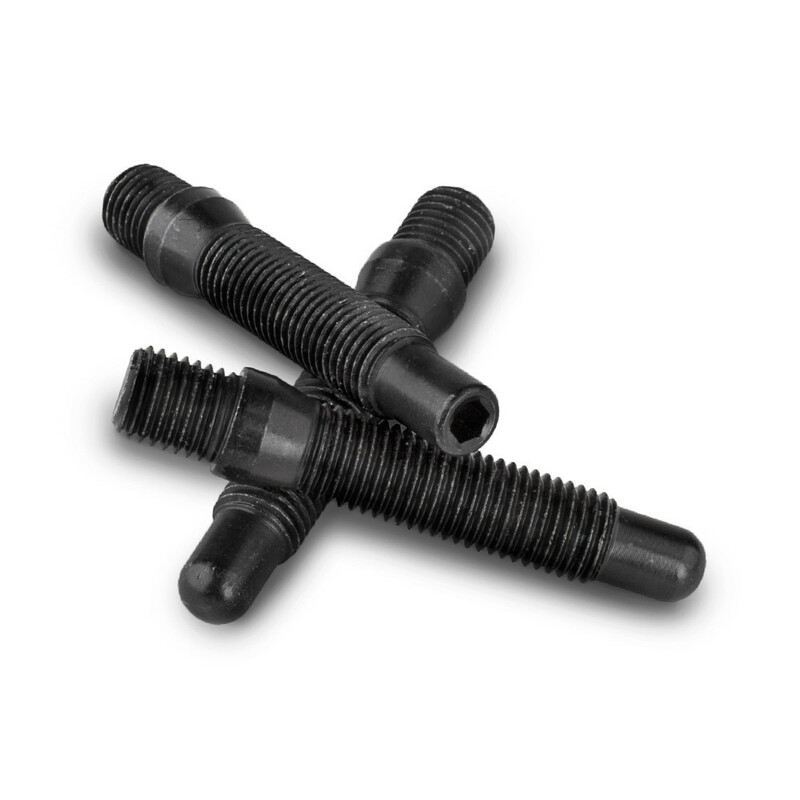 Hex Head stud tip includes a 5mm hex to allow for faster installation. 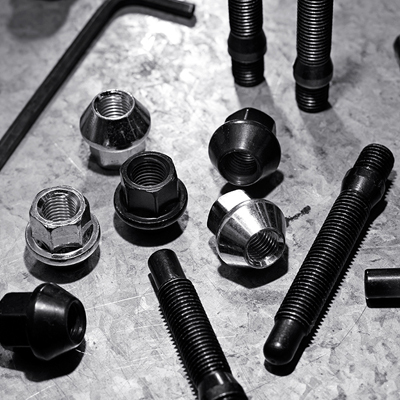 Install kit including 5mm allen wrench and red thread locker sold separately.